Karl Ainsley left it late to secure the three points for Unite MK against SSML Division 2's bottom club Clean Slate. 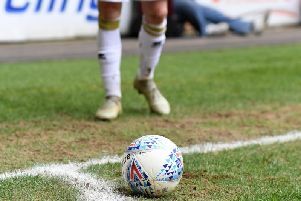 Ainsley struck in the 82nd minute as Unite remained 10th, while Clean Slate stay rock bottom of the pile, 15 points adrift of The 61FC (Luton). New Bradwell St Peter remained 12th in the table after losing 3-1 to leaders Bovingdon. This weekend, New Bradwell St Peter take on Clean Slate in a bottom of the table clash. >> Newport Pagnell Town stumbled in their charge up the UCL Premier Division table on Saturday when they were beaten 1-0 by Deeping Rangers. Henry Dunn scored the only goal of the game on 34 minutes to wrap up the win. The result, Newport’s second defeat in eight games, sees them remain eighth in the table ahead of their trip to fourth placed Holbeach United on Saturday.